Good Morning from Down Under. Hope you are enjoying your day or evening! I have another card using Simon Says Stamp June card kit Blissful! 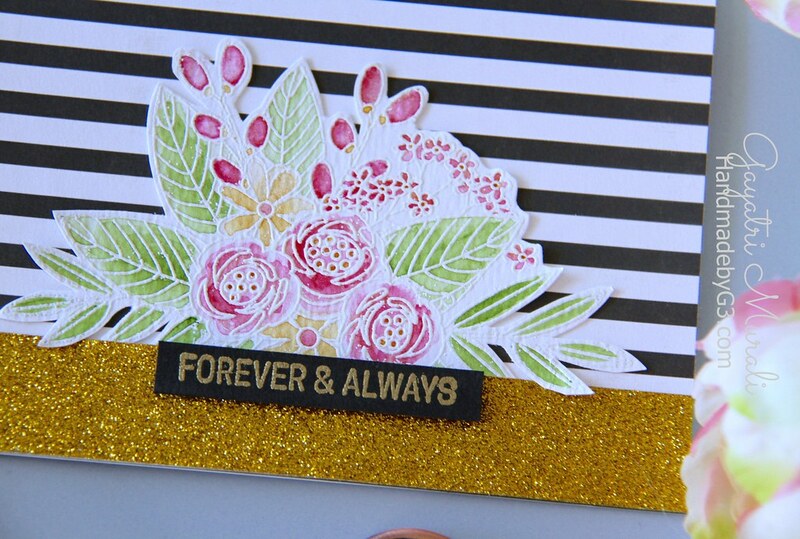 This time I used the gorgeous pattern paper with the floral image from the stamp set in the card kit. I white heat embossed the image from the stamp set on the watercolour paper also from the kit. Coloured the image using the watercolours that came in the kit. Once dry, I hand cut the image out using scissors. On the card front, I trimmed the black and white striped paper paper from the kit and adhered on the card front. Then I adhered the cut out flower and leaves cluster. To anchor the cluster I added a strip of gold glitter tape. 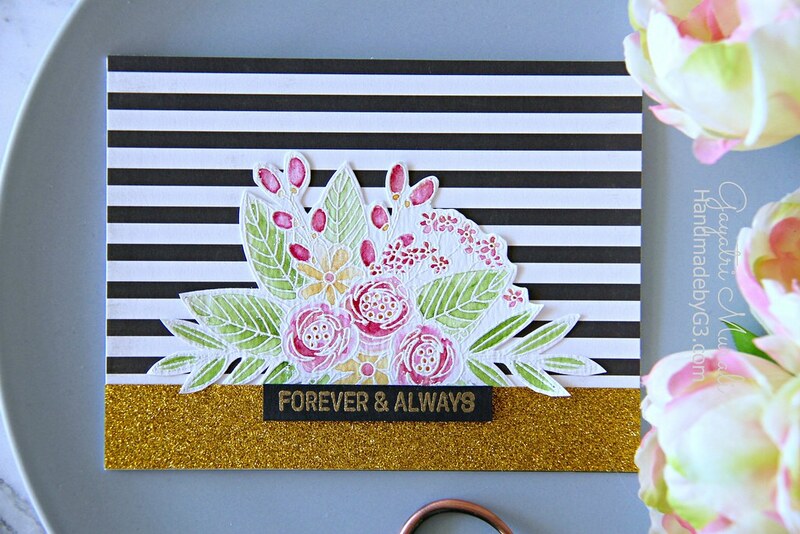 The sentiment is gold heat embossed on a strip of black cardstock and adhered using foam adhesives. No embellishments needed! Love the contrast between the bold striped background and the soft colouring on the florals. Now this card kit is sold out. 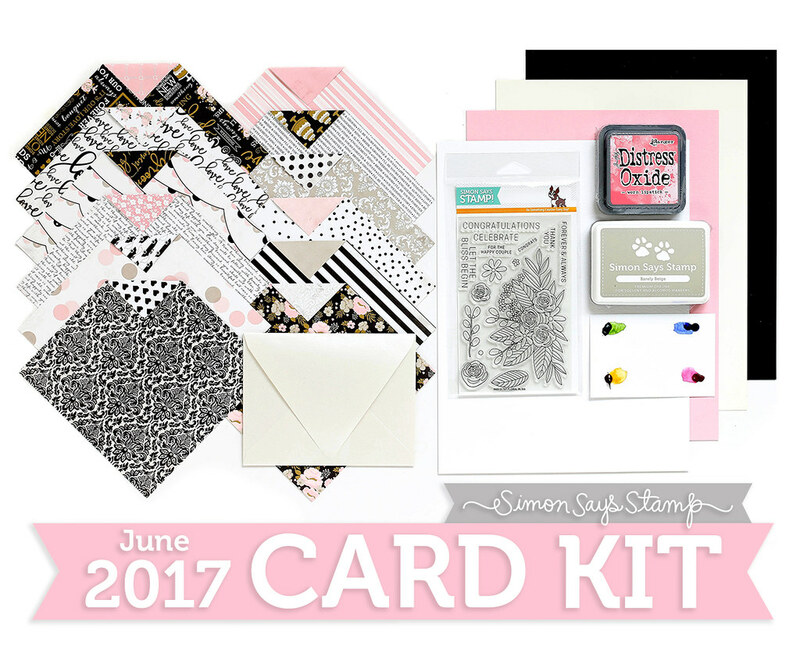 You can subscribe to the card kit at Simon Says Stamp store. If you are interested in the Blissful stamp set only, the set is available for purchase separately also at the Simon Says Stamp Store.